Check out some of our most popular teachers near Pinon Hills, CA including Riverside, Corona, Rancho Cucamonga, Fontana and Redlands. Get ready for the most unique voice lessons you've ever experienced. Based on MDH Breathing Coordination, Nicole will do an assessment of your breathing mechanism and relate proper breathing to vocal production. Once the body is ready for singing, proper techniques will be explored through vocal exercises, which will then be applied to song selections. Laryngeal massage also available. Lessons with Nicole are like none other! Students will learn methods of MDH Breathing Coordination* as the foundation of proper singing. This will bring clarity to common concepts like "support" and "placement." MDHBC is also very beneficial for musicians, actors, public speakers, dancers, and athletes! tmas caroling in various venues including Disneyland. She has been teaching private voice lessons since 1998, and LOVES to see her students grow! 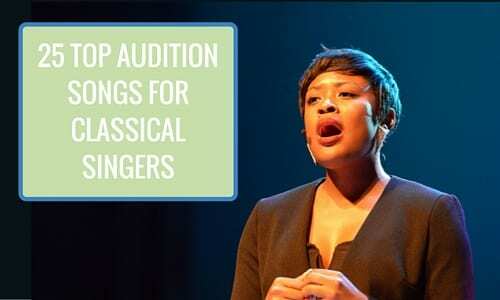 Nicole has a lot to share with students who are serious about singing professionally, or students who just want to sing for fun! Private voice lessons are customized to each student's needs and goals. I will teach you warm-ups and proper techniques in order to protect your voice from being damaged, and to free your voice to reach its full potential. I can also help you explore a variety of musical styles, as well as learn performance tips, microphone technique, music theory, and audition skills. *FUN! Nicole is kind and encouraging. She makes learning fun, and has respect for all students regardless of skill level. Students feel comfortable and relaxed. *EFFECTIVE! As long as the student attends all lessons, and practices during the week, results will come quickly! Every time I meet with Nicole, I always walk out of the lesson knowing something that I didn't know before. Whether that is a technique or a practice to do at home, she always manages to put her whole heart into each lesson I take with her. She knows how to evaluate the actual ability of the student and so she would be able to optimize the appropriate strategy & technique applicable for the individual to learn quick and achieve the ultimate goal with less effort in no time. We have been seeing Nicole for many years! She has helped my daughter the most with breathing techniques. She's always so positive, even when my daughter is feeling insecure, Nicole helps her push through to find her range and overcome her insecurities. My daughter always leaves Nicole feeling like she's ready to conquor anything. Nicole is the best in helping my daughter find her chest voice from head voice as well. We have been to 3 other vocal coaches and we continue to make our way back to Nicole because no one out there is better! Learn to sing with ease and confidence! I'm a personal trainer - for your voice! My trainings incorporate modern twists on the most effective techniques from the Swedish-Italian school of singing. I use this classical technique as the foundation for compelling vocals in commercial styles, such as pop, soul, and rock. You will learn how to use your body and breath together to produce powerful and beautiful sound! Your lessons are handcrafted - warmups, exercises, and all - to wherever you are in your vocal journey. Through each lesson, you will receive the tools you need to strengthen your voice and reach your goals. Let's have fun crafting a voice that stands out. Message me to get started, I can't wait to meet you! I am a vocalist, songwriter, pianist, and recording artist, currently tracking the debut EP for my synth-pop project Steel Maggie. I graduated from Cal Poly Pomona with a Bachelors of Arts in Music, emphasis in Music Industry Studies, including voice and performance training. I have studied with/been coached by Martin Green from Citrus College, Dr. Susan Ali and Kendra Vuk from Cal Poly Pomona, and Aretha Scruggs. While I primarily teach voice, I have had extensive piano training, so if you are interested in playing the piano while singing, I will gladly help you develop that skill. As an avid songwriter, I can guide you through the songwriting process, show you how to write melodies that fit your range and vocal timbre, and give you tips to improve your songs. in addition to helping you strengthen your voice and reach your vocal goals, I will teach you how to maintain your progress and prime yourself for continuous growth. You will never feel judged or put down in your lessons with me. I make it my mission to foster an environment of encouragement, self-esteem, and fun. However, like a personal trainer, I will hold you accountable, because I want to see you excel and stand out in your singing endeavors. I want you to thrive as a vocalist. I look forward to our first session together! Can't find a teacher in Pinon Hills, CA? The average cost of 60-minute singing lessons in Pinon Hills is $104. While the exact cost will vary depending on the teacher, type of lesson, and your location, you should expect to spend anywhere between $100 and $109 per hour. For the best experience, we typically recommend 60-minute singing lessons. However, students looking for a more affordable option may want to consider a shorter lesson length of 45 or 30 minutes. On average, 45-minute singing lessons are 25% less expensive at $79, and 30-minute lessons cost 49% less at $54. Curious how much singing lessons cost in your area? Do a quick search to get local prices for the best singing teachers near Pinon Hills. on . Thanks Tina !" "Lia is knowledgeable, creative, and fun. She is encouraging and motivating. Thank you Lia!" "He was so nice and very resourceful cant wait for our next lesson very excited"
th me. And i learned a lot from what he was teaching me. Can't wait till the next lesson"
ith her. I am so happy to have her teaching my daughter."